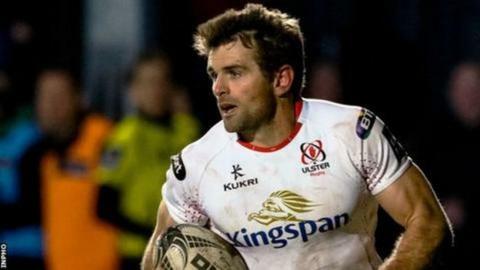 Schalk van der Merwe is set to make his Ulster debut in Sunday's Champions Cup game against La Rochelle but Jared Payne will once again be absent. South African prop van der Merwe moved to Ulster in the summer but has not yet featured for the Irish province after undergoing shoulder surgery in June. Payne has also not played this season after his British & Irish Lions tour was ended prematurely by concussion. Chris Henry is available after being ruled out of the 19-9 win over Wasps. A throat problem forced the Ireland flanker to miss Ulster's European opener. Ulster head coach Jonno Gibbes said that Ireland centre Payne, 32, is continuing to "build up his tolerance" in training with the squad. "His involvement in training has been good," Gibbes told BBC Sport Northern Ireland. "It's just [a case of] being patient with him. The awareness around concussion is all out there now. "The rugby fraternity has certainly changed its approach to all that sort of stuff over the last four or five years. "He's being dealt with by the right people. They are working close with him but of course the player's health is paramount." Gibbes added that van der Merwe, a summer signing from the Southern Kings, is now ready to make his debut after having to deal with a "complicated injury". "It's not an easy injury to come back from but he has been pretty diligent and our medical staff have worked really hard with him." Versatile Robbie Diack is set to become only the third Ulster player to reach 200 competitive appearances for the province in Sunday's game in France. Andrew Trimble and Roger Wilson are the only other players to have played more than 200 Ulster games. La Rochelle lead Pool One after their impressive opening 34-27 bonus-point win over Harlequins last weekend. France centre Geoffrey Doumayrou scored two tries in last weekend's win while their team also includes former All Blacks number eight Victor Vito.